No one wants to feel excluded. 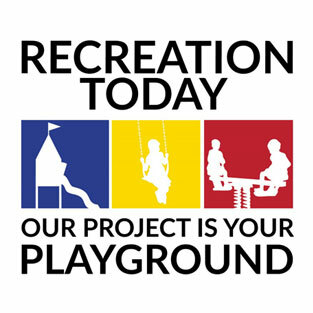 Customized Buddy Benches (also referred to as “Friendship Seats”) are a special kind of playground bench designed to assist children in making friends. Every child needs a school buddy. 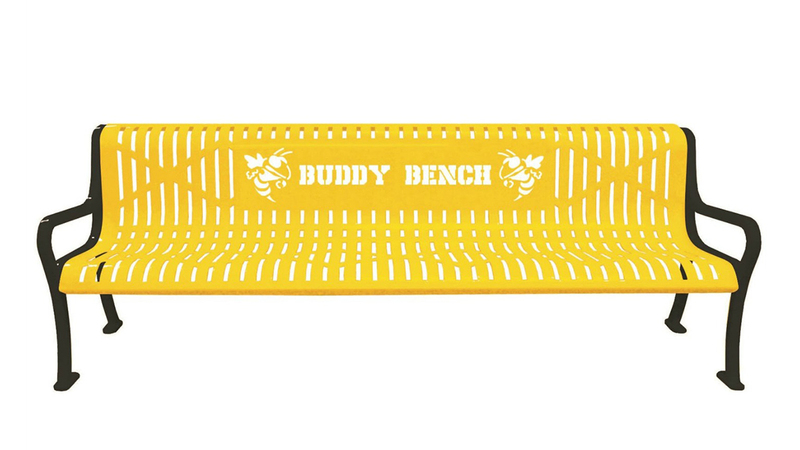 The purpose of the customized Buddy Bench is to give children who feel lonely during playtime a comfortable place where they can use nonverbal communication of their loneliness to the other children, who will hopefully ask them to play. 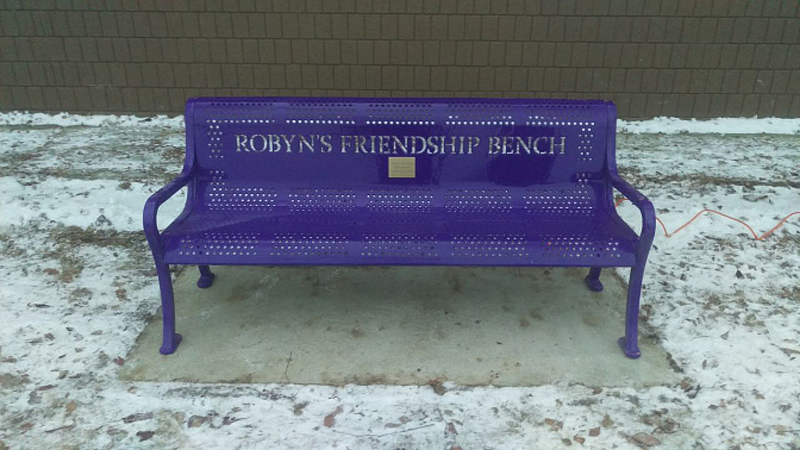 The presence of a Buddy Bench (or friendship seat) offers you an opportunity to address the topics of loneliness, empathy, and compassion. These are vital qualities that all children need to develop so that they can become well socialized members of our community. 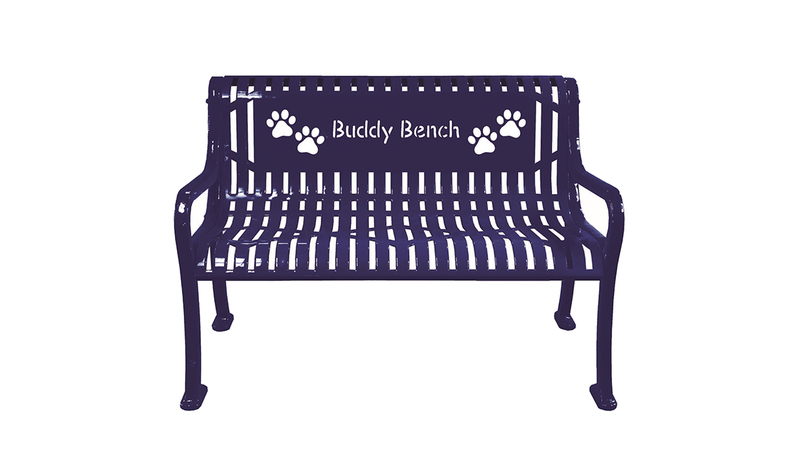 We can assist you by providing your customized Buddy Bench, personalized to your specifications. We can use your school logo or choose from our available logos. 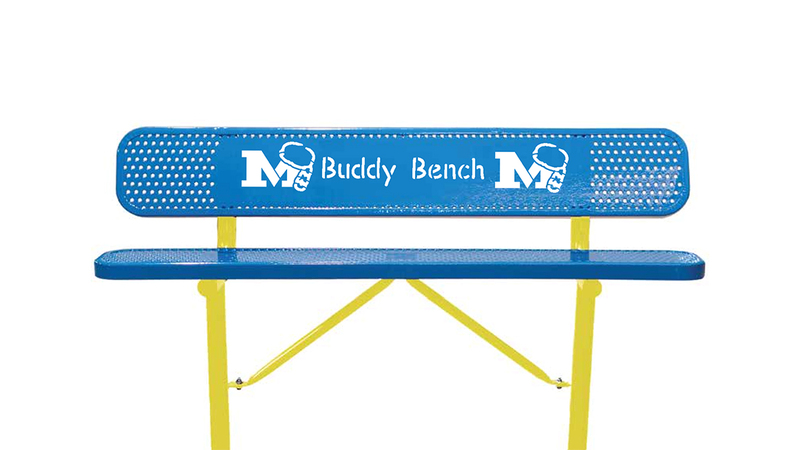 We can create your personalized Buddy Bench with the name of your school or you can Easy Order with words “Buddy Bench” and your choice of logo. 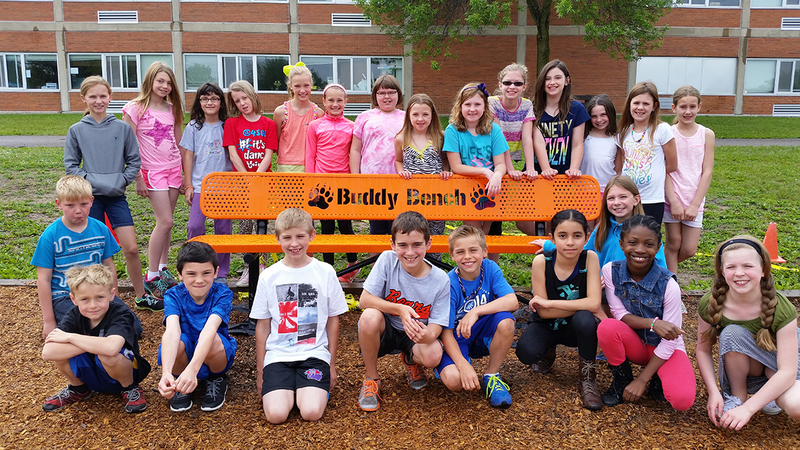 What information will you need to request a quote for your Buddy Benches?